There are many reasons to call a locksmith, some are more common than others. Here are some of the main reason why we are called out on a locksmith job so you know whether you should call a locksmith when the time comes. Getting locked out can be a stressful experience but it need not be. More often than not a good locksmith will get you safely into your property without damage to the lock or the door. However, a not so good locksmith, without necessary skills or tools to non-destructively entry to your property can cost you more money by replacing working locks or a window or door frames he has damaged. Where possible, always ask if it’s possible to gain access without damaging anything before booking your locksmith. It'll save you bucketloads in unnecessary costs. Locksmiths are frequently called out to change locks or upgrade locks. 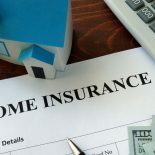 Many properties within the UK have sub-standard locks fitted to the property which might not comply with insurance regulations. Having non-insurance approved locks means in the event of a break in, your possessions may not be covered. So a lot of our lock changes are people looking to have snap-safe or insurance approved locks fitted to their homes. Another reason might be if someone has moved into a new property and they want all the locks changing, it’s important when you move home to have all your locks changed as the previous tenant may still have keys to your property. Lock repairs are another common call out for us. Locks stop working over time through wear and tear some locks may fail but in some cases we may be able to repair the lock for you rather than replace it. We specialise in uPVC lock repairs as well and door realignment. 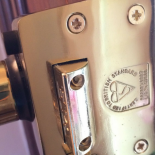 So if you have a faulty locking mechanism or uPVC door issue then feel free to contact us. Its an unfortunate fact that burglaries are on the rise in Southampton and the surrounding areas. One of the methods used by out old friend the burglar is to snap a lock on your door, which can take a matter of seconds allowing swift entry to your property. The only way to defend yourself against lock snapping is to have insurance approved, snap-safe locks such as Ultion or ABS locks. 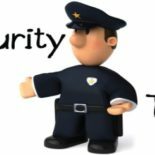 If you experience any of the issues mentioned above or any other problems with your home security, then feel free to contact us on 07737 915984 for a free no obligation quotation. All our work is fully guaranteed for 12 months.